There are many ways to keep fit. Here are some fun ideas! ​Are you bored of your usual exercise regime? 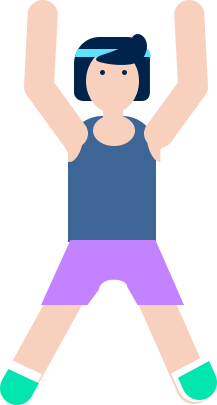 Most of us go running or hit the gym a few times a week to keep fit, but these activities can get monotonous. Thankfully, there are plenty of other fun and exciting ways you can keep in shape. Try these alternative activities that are bound to keep you entertained and healthy at the same time! Don't you wish you could do all the cool tricks in that video? Skateboarding is an action sports that involves riding and performing tricks. Besides being a fun and challenging workout, skateboarding offers a creative outlet. You're able to add your own personality and originality into your skateboarding style and tricks! There are plenty of skate parks in Singapore where you can skate with other skateboarding enthusiasts, including the Xtreme SkatePark @ East Coast, which is the size of about 2.5 football fields. Rock climbing is a physically and mentally demanding sport where climbers scale up, down, or across either natural rock formations or artificial rock walls. Climbers have to be able to locate sufficient footholds and handholds, balance on these holds in precarious positions, and move from one position to another without falling! This is a sport that requires strength, agility, endurance, and mental control. Definitely not an easy sport! But of course, the harder it is, the better the rewards. When you finally climb to the top, you will feel like you're on the top of the world! 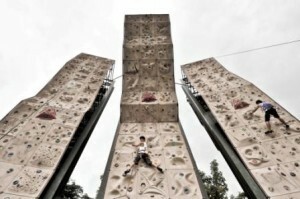 Yishun Safra Climbing Centre offers Singapore's largest outdoor climbing facility, where you can give rock climbing a try. Hiking is a simple enough activity that anyone can do at any time: walking in a natural environment, such as forests and parks. Studies have shown that hiking actually has a lot of health benefits; it helps shed excess weight, decreases hypertension, and improves cardio-respiratory fitness and mental health! Many beautiful, natural environments have hiking trails that allow hikers to walk along and immerse themselves in the scenery. 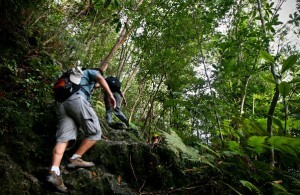 In Singapore, the best hiking trails are located at MacRitchie Reservoir and Bukit Timah Nature Reserve! ​These wakeboarding tricks are spectacular to watch, aren't they? 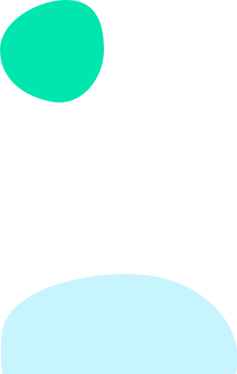 Wakeboarding is a water sport that involves riding a wakeboard and performing manoeuvers over the surface of water. The rider, standing on the wakeboard, is towed behind either a speedboat or a cable system such as the one at Singapore's cable ski park, SKI360. It was developed from a combination of water skiing, snowboarding and surfing. So you can imagine how thrilling and challenging wakeboarding is! <div class="ExternalClassF46D74E4CACF4D31A54AD1443B774B58">Established in 2001, the Health Promotion Board (HPB) has a vision to build a nation of healthy people.